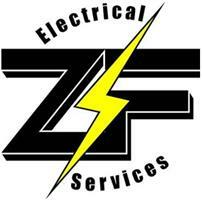 Z F Electrical Services - Alarms/Security, Electrician based in Caterham, Surrey. We are a friendly, professional and highly skilled team of electrical contractors. We are all fully qualified and also registered with the NICEIC (which means that our work is vetted annually to ensure we are always meeting the current safety standards). Our work is all guaranteed and certified. We cover all types of work from small jobs to full rewires, including all commercial installations etc. We always aim to make sure our clients are fully satisfied with all the work we carry out. We take pride in being reliable, clean and tidy as well as providing a fast and friendly service. We have built up a large number of regular customers who now call us for all of their electrical needs. Please feel free to contact us for any advice or a free quotation for any of your electrical needs.